Join the Full Getresponse Tutorial Here . On the menu tabs Click on Email Marketing. Enter the details for your Autoresponder. Then enter the actual details pertaining to the Autoresponder. Eg choose the day the autoresponder should be send. That is after how many days after someone subscribes, should the email get sent. Select the other details like , the time it should be sent. Choose or create a template for your Autoresponder. Then publish or save your Autoresponder. 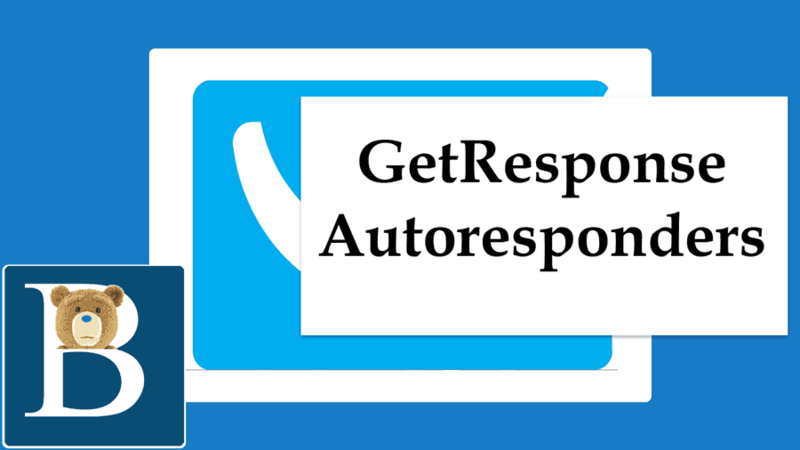 Watch the video for a step by step guide on how to create a Getresponse Autoresponder. Inside Getresponse . on the Dashboard menu, go to Email marketing . Then click on Autoresponders in the top menu of the Email Marketing management area. Enter the autoresponder name (this is the name you’ll see on the management screens on Getresponse. It will help you identify the Autoresponder you are working on and working with.). Assign the autoresponder to a specific day . This is the day in a cycle when the email will be sent out. For example, Autoresponders with day 2 chosen , will send messages to subscribers 2 days after they subscribe. Choose a list for the autoresponder. If you don’t want messages sent on certain days, then ; Choose the days you’ would like for the messages to get sent. Perhaps you don’t want to send messages on Weekends, then de-select Saturday and Sunday. Next step is for you to actually create the message that will be sent to your new subscribers. If you select Choose then you will be able to select an existing message. You can also create a new Message to use . Click Save or Save and Publish. If you click Save and Publish and you get a prompt asking you if the message should be sent to your old subscribers as well, make the right choice. That’s it for creating Autoresponders in Getresponse. Watch the video above, for a step by step guide.